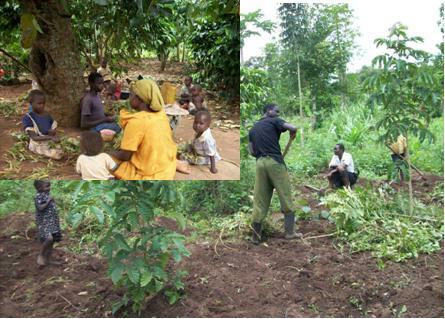 Agriculture is the cornerstone of Uganda’s economy, which is similar to the situation in most African countries. To be more specific, over 85% of the population is activating in this area. At the very same time, the poverty is severe and widely spread across the entire country. Farmers, especially women and youth, have a very low income, which does not cover even their basic human needs. One of the most realistic and reachable goals in the fight against poverty would be to promote and implement agro-processing. With some support and budgeting from the government and NGO’s, farmers would have the chance to earn much more with just a bit of extra effort. The term of agro-processing refers to the practice of transforming primary agricultural products into secondary or even tertiary commodities, which can be sold on the market for a much higher price. In other words, it means turning raw materials into more complex and expensive merchandise, instead of selling it cheap after the first step of production. Obviously, this would require a certain level of skills and technology, but it would also bring higher profits. Besides the direct financial benefits, agro-processing would also bring a series of other advantages. First of all, it would supply the community with a wider variety of locally produced thus cheaper goods. Furthermore, it would increase the level of life thanks to the increased access to secondary and tertiary agricultural products. Second, it would extend products’ shelf-life, thus decrease waste. Since farmers would no longer be desperate to sell their products as soon as possible and avoid them becoming spoiled, they would be able to analyze more offers on the market and choose the most convenient one. Third, agro-processing would require additional workers. This would allow young inexperienced farmers to be involved in this area and would extend the amount of people earning income from this activity. Moreover, processing of raw materials would most probably also increase food safety and improve the reputation of Uganda’s agriculture. However, in order for this to happen, it is important to improve the agriculture policy of the country. It is also vital to attract adequate budgeting, not only in the form of donations, but also regular business investments. This can be done through a proper investment policy created at the official level. Agro-processing also requires extensive training of farmers, especially the young ones. Implementation of the use of technologies could also be done through the local youth, as this would increase the speed and quality of the process. In other words, there is still much to be done in this area. But the important thing to remember is that once local farmers and their government will understand the importance of agro-processing development, the entire society will start moving towards a brighter tomorrow, free of poverty and abuse.